﻿ What is the ultra-strong thin film with a high modulus? What is the ultra-strong thin film with a high modulus? 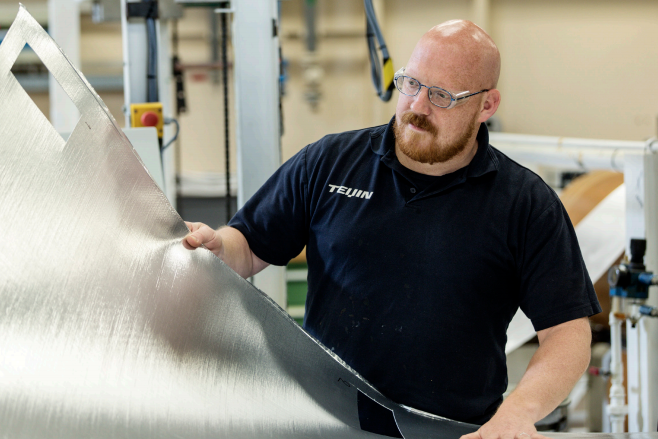 Ultra-strong thin film with a high modulus is a new high-performance film material researched and developed in recent years by Teijin. It has already been widely used in manufacturing industry. There are many products made of this new material, such as ballistic products, ropes, nets and cables, and laminated sails. However, few people know about this material. Now, let me make a brief introduction. Ultra-strong thin film with a high modulus is made of a special type of UHMWPE (Ultra High Molecular Weight Polyethylene), and it is the strongest UHMWPE lm available in the world. It also has a higher modulus and better abrasion resistance, UV resistance, creep properties and thermal-aging performance than other UHMWPE fibers. Experiments have shown that ultra-strong thin film with a high modulus can maintain its stable structure at a high temperature of 70 ℃., and it can resist 10% Sodium Hydroxide, and 10% Sulfuric acid. have successfully gone through FAR 25.853 Vertical burn test, FMVSS 302 Horizontal Burn Test, Boeing BSS 7239 Toxicity test, ASTM E662 NBS Smoke density, proving that it is a rare quality material in manufacturing industry. Different from some aramid materials, ultra-strong thin film with a high modulus is made in an environmentally friendly, solvent-free process. So, it contains no additional processing aids or solvent residue. And the thermoplastic nature of UHMWPE means that it can also be easily recycled. The film can be made in any width, according to customers’ needs. With some new technologies, it can be made into a cross-plied uni-directional-laid sheet (UD). The result is a unique cross-ply that can be consolidated to form plates of different shapes and thicknesses, which can be used for ballistic protection applications. This ultra-strong thin film with a high modulus is available in film form (film TA23) and in the form of cross-ply laminate (cross-ply XF23) which is available in three standard widths: 2mm, 4mm and 133mm. If there are other requirements, an order can be send to the manufacturer. Above is all the clarification for ultra-strong thin film with a high modulus.